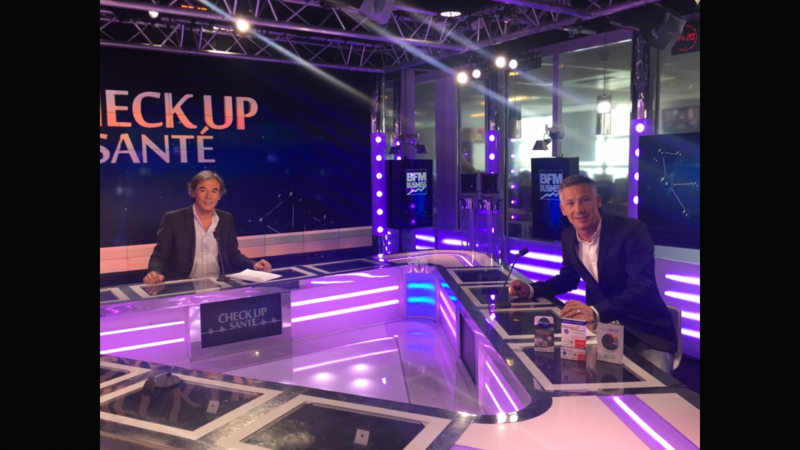 Eric Gilli, founder of Secuderm, was in Paris this week to be interviewed by Fabien Guez, the TV and Radio presenter of the “Check Up Santé” show, dedicated to healthcare. This interview, in French, will be broadcast on both BFM Business TV and radio on Saturday May 6 at 11.30am and 6.30pm also on Sunday May 7 at 6.30am and 4.30pm. Show replay will also be available here online or as podcast.